Repair Stories - Vibrate Software, Inc.
Everything That Cannot Be Fixed Actually Can! 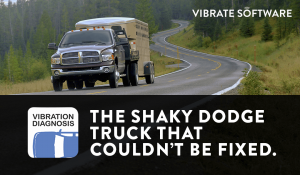 As an automotive instructor/Professor for the last 26 years, I have been involved in diagnosing vibration problems on many “can’t be fixed” vehicles. Each of these vehicles had already been “diagnosed” at repair shops or dealership service departments. Each of these vehicles have had repairs attempted and many have had parts replaced. Some of these vehicles had even been bought back from the customer, sold to another customer, or even donated to the school at which I teach just to get them off the road. 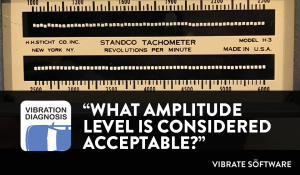 – John D. Kelly – Vibrate Software, Inc.
Several years ago I received a phone call from a service manager of a local new car/truck dealership requesting help diagnosing a vibration on a used pickup truck they had sold. 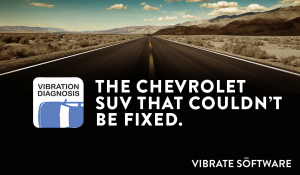 Their service department had tried several things to repair the vibration, but they were unsuccessful. This truck had a manual transmission. A few years ago a 2007 Toyota Tundra 4×4 was donated to the automotive program at the school where I teach. 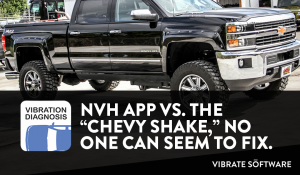 I receive a lot of questions related to what is becoming known as the “Chevy Shake” vibrations on late model Chevrolet, GMC, and Cadillac Trucks and SUV’s. 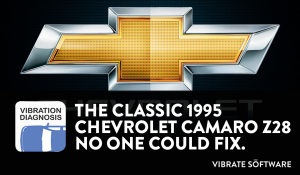 Last year I received a phone call from a gentleman who owned a classic 1995 Chevrolet Camaro Z28 with a 6-speed manual transmission; his car had a vibration that “nobody could fix”. 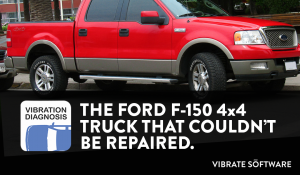 Another memorable “can’t be fixed” vehicle was a new full sized Ford F-150 4X4 Truck. 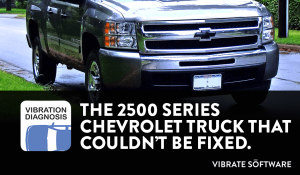 See how we fixed this truck. 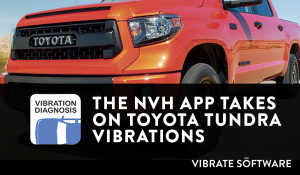 There are close to 300 individual sources of a vibration on a typical vehicle, the NVH App knows each one of them and can guide you through the entire diagnostic and repair procedures for each one of them. 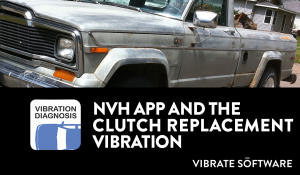 The following list of common vibration complaints can all be diagnosed using the NVH app.